THE STRANGE SERENITY OF THE E-LINE ON THANKSGIVING » how's your morale? While many of you were enjoying a three-five day weekend this Thanksgiving, there were also many of us working more than usual to accommodate our co-workers vacations. I was fortunate enough that neither my service nor teaching jobs required me to work on Thanksgiving Day, but the 22nd was abutted by six day weeks on either side. My Mom, Dad, and sisters all work in fields that may give a day off for a holiday, but taking a Thursday through Sunday off is unheard of– at least at this time of year. We’ll get our vacations in April. Or June. So they trekked south from Snohomish county and I rolled north on the E-line and we had a lovely dinner and chat. If the staff were resentful about working a holiday, they didn’t show it. I’d not been in an IHOP in a few years, and had forgotten that they’re actually pretty good at the whole food thing. Solid crepes. Better than Denny’s, or Shari’s, probably. 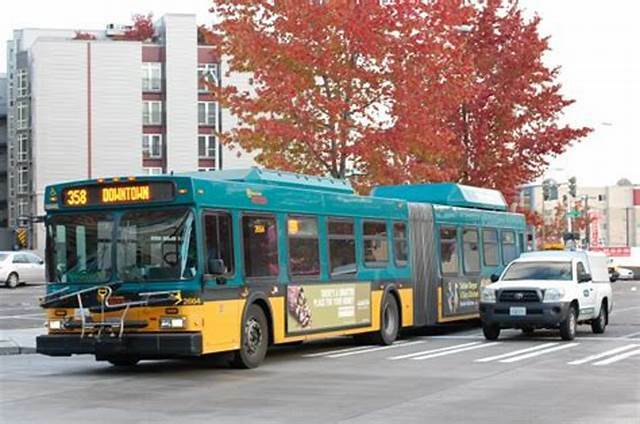 To get to the IHOP on Aurora, I took the E-line, formerly the 358, possibly the most infamous bus route in Seattle. Some of is due to uncomfortable northenders taking all their classist, racist, and ableist biases and personifying them in bus form. Which is to say the reputation isn’t entirely earned. Entirely. The route runs from the International District/Chinatown to a parking lot near a bunch of box stores in Edmonds. There are a fair amount of addiction treatment centers, methadone clinics, free clinics, and cheap, sometimes by-the-hour motels along Aurora avenue. It’s good these things are there, but it does mean that any given time of day you’re liable to sit next to someone who is going through withdrawals from . . . something, vocally drunk and smells like it, or just scratching at themselves like crazy. Not a chill ride. The 358 was overhauled a few years ago and turned into a Rapid Ride. This means quicker drivers, fewer stops, on board Wi-Fi (theoretically) and you can enter through any of the bus doors, which means you don’t have the same bottleneck you get on other rides. It’s faster and cleaner, but the circumstances of the route haven’t changed. Which is good; many corridors in Seattle absolutely depend on their bus routes, this one perhaps more than any. Thanksgiving day I expected to be somehow an even more miserable ride; it’s hard to shake the stigma of not doing the traditional turkey-football thing, even if you’re doing something that makes you happier. But it was one of the calmest, chilliest bus rides I’ve ever taken. The driver smiled placidly as I boarded. The man passed out against the window didn’t register as sad, or desperate, just getting some needed rest. Everyone nodded at each other but no one spoke, save for two teenagers across the aisle from each other, who work in hospitality and it was the first time they’d not been home for a holiday. It was exciting to them. I watched the rain along Aurora and the bus was at my stop exactly on time. I thanked the driver for working on Thanksgiving and he just shrugged.